MJC², working in collaboration with 20 organisations in Europe, is participating in EUROSKY, an EC-funded initiative to increase security and efficiency in air cargo operations. 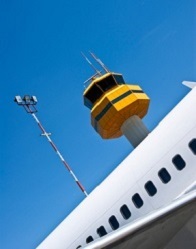 EUROSKY will focus on operations at the major airports of Athens, Bologna, Lisbon and East Midlands in the UK. MJC² will apply its real-time logistics optimization software, warehouse operations planning and demand led staff rostering systems to ground handling operations, integrating transport, warehouse and screening planning to optimize throughputs and reduce queueing. Real-time optimization in the air cargo supply chain is challenging from the technical and organisational perspectives but the implementation of a Single European Secure Air-cargo Space, coupled with machine intelligence and dynamic scheduling capability is expected to deliver massive benefits in terms of cost reduction and increased efficiency.